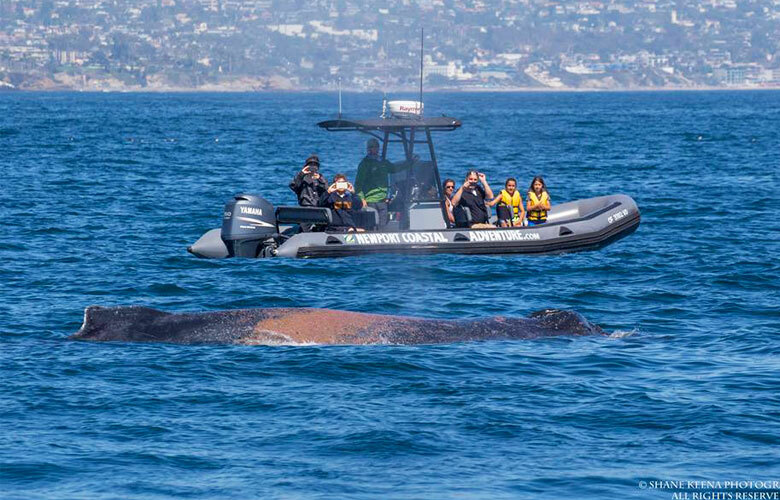 Newport Coastal Adventure | The Ultimate Whale Watching Adventure! The Most Amazing Experience! Book Your Trip Now! 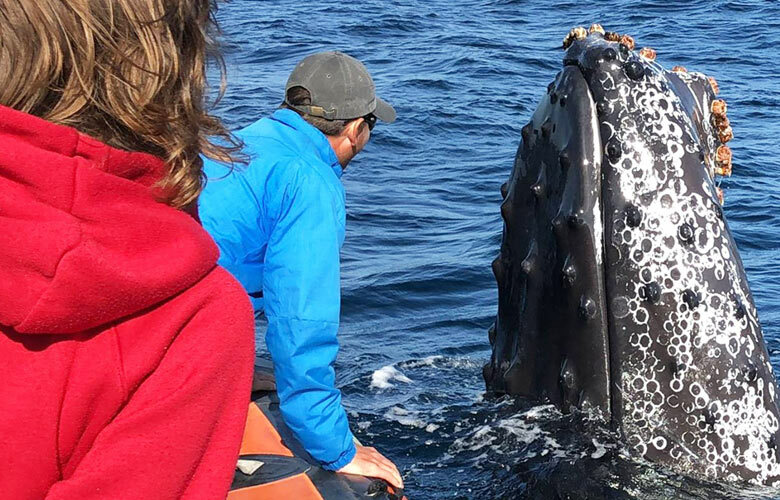 Whales and Dolphins so close you can almost touch! Departing out of Newport Harbor offers best weather and scenery in all of Southern California. Experience a breathtaking adventure with an awesome crew and seasoned captains. 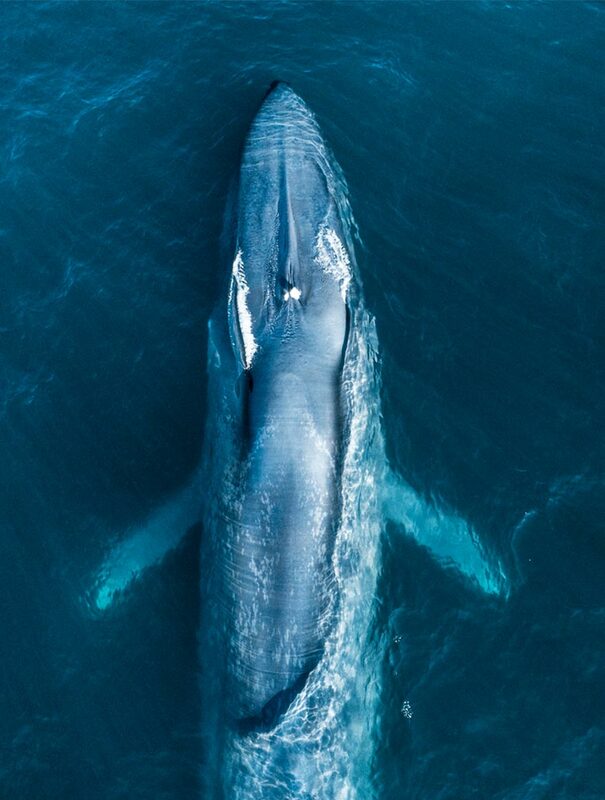 Book Your Ultimate Whale Watching Adventure Today! Don't miss out! 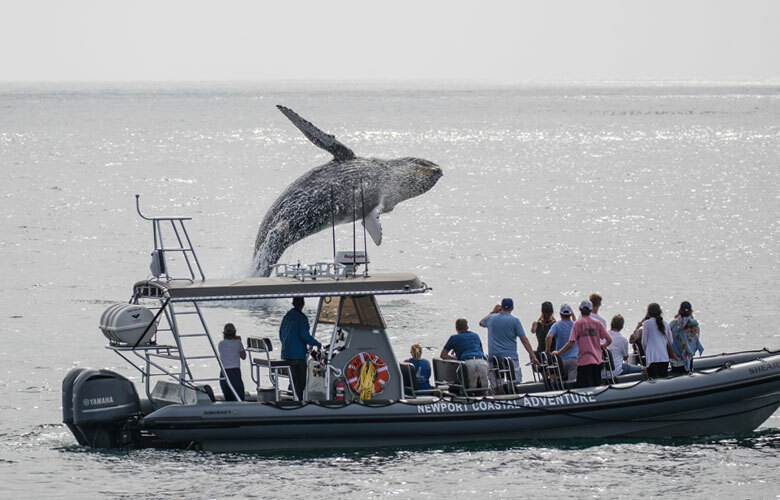 Passengers spend more time watching animals, and less time traveling on board Newport Coastal Adventure. 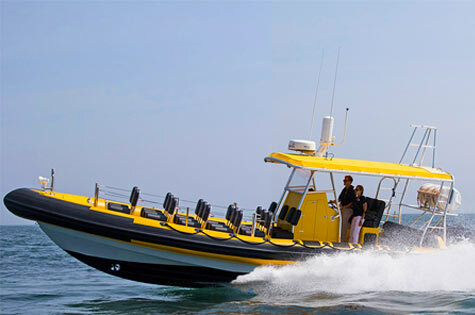 Our 20 MPH cruise is twice as quick as the competition, allowing you to see more than you would on other tours. The BEST place for watching dolphin is at the front of the boat. Our craft uniquely allow passengers to safely lean just above the water to closely interact with dolphin. We provide the safest way to enjoy this truly magical experience! Our congenial captains are eager to share their local knowledge, cultivated with years of experience spent plying these waters. We are a homegrown company owned and operated by Newport Beach natives eager to show you our backyard. A strict limit of 6 passengers at a time ensures all passengers are under the direct care of the captain, have adequate personal space, and a piece of the action. "Absolutely awesome. Captain Ryan was professional, friendly, and knowledgeable. Boat was great. Love the smaller size and the ability to have a more custom/private experience. No fighting with gaggles of people to catch a glimpse of something in the distance. Saw tons of Common Dolphin and had a cool and unique encounter with a Minke whale. If I could rate this 6 stars I would." "My family and I had a blast with Captain Taylor. 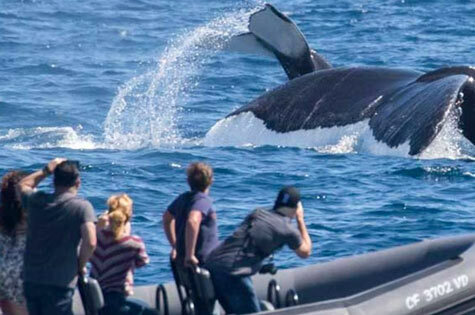 I highly doubt we will ever go on another whale watch in a boat that isn’t a zodiac. We were able to zip from spot to spot, depending on where the action was located. 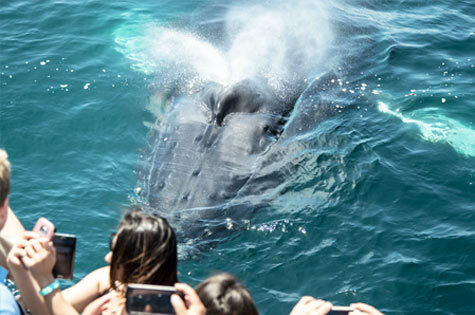 We saw several whales, including two separate blue whales, as well as a huge sunfish. This is a must do if you are near Newport Beach!" "So close, we almost touched!" We provide the safest way to enjoy this truly magical experience! Each trip is unique, depending on the passengers' preferences. "Zip from spot to spot!" 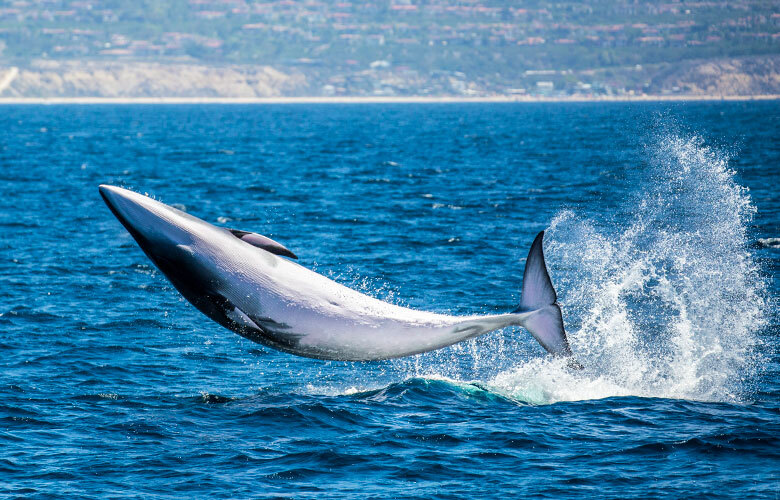 You'll get spend more time watching whales & dolphin, and less on traveling. Our captains & crew turn each trip into an unforgettable adventure. We have two locations, depending on the type of trip you've selected. 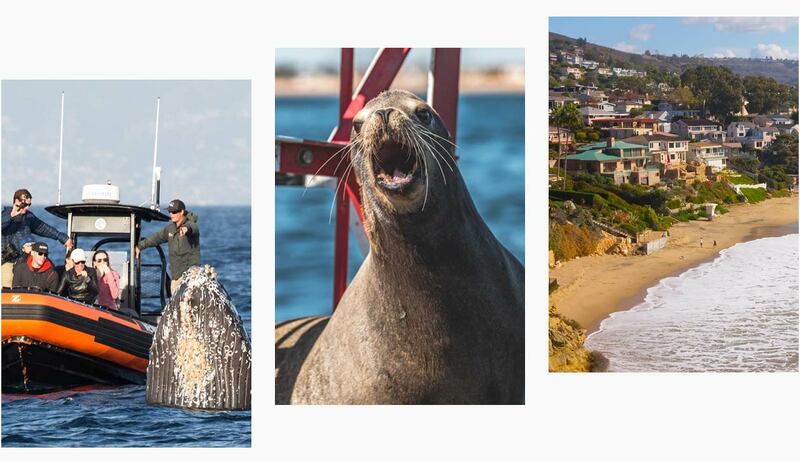 The concept of Newport Coastal Adventure is unique to the area, leveraging the ideal location of Newport Beach Harbor to key natural features such as its proximity to deep water where whales and dolphins feed, and the adjacent coastline abounding with rocky coves, birds, and seals. 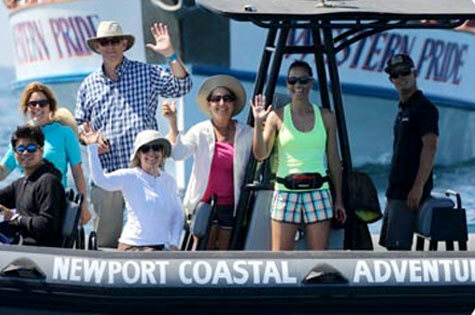 Newport Coastal Adventure is the original and favored operator giving customers an intimate experience on the waters of Captain Ryan’s hometown. Don't we love those dolphin? © 2018 Newport Coastal Adventure. All Rights Reserved.